Ubisoft’s powerhouse dance party game has released its full track for Just Dance 2017. 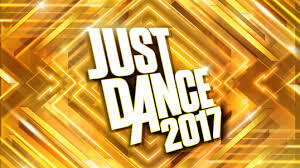 Since 2009, Just Dance has become the world’s best-selling dance party game franchise and plans to protect its title. This fall, Just Dance 2017 hits motion-control gaming platforms, including the Wii, Wii U, and, for the very first time in the history of the franchise, Windows PC. This go around the game will include 40 hit tracks to include recent hits like “Cheap Thrills” by Sia featuring Sean Paul, “Sorry” by Justin Bieber, and “Don’t Wanna Know” by Maroon 5, and classic hits like “Don’t Stop Me Now” by Queen. With the free demo of “Sorry” from Justin Bieber (downloadable on Xbox Live, PlayStation Network and the Nintendo eShop), the Just Dance Controller App, and Just Dance Unlimited (a dance-on-demand subscription streaming service, available for current-gen consoles owners and PC players) all available, legions of loyal fans will be eagerly warming themselves up to get down and party. Expect Just Dance 2017 to hit store shelves on October 25th on the Xbox One, PS4, Xbox 360, PS3, Wii U, Wii, and (when the system releases) NX. The Standard version of Just Dance 2017 will also include three months access to Just Dance Unlimited on Xbox One, PS4, Wii U and digital PC.